Turboflex models are a line of high speed tools designed to be used on machining centers equipped with automatic tool changers. The orientation ring and the arrester arm, which carries the arrester pin, can both be rotated through 360°. This allows easy adjustment of the drive taper relative to a stop block mounted on the machining center spindle housing. With the air driven high speed Turboflex spindles, it is possible to reach 60,000 RPM output. 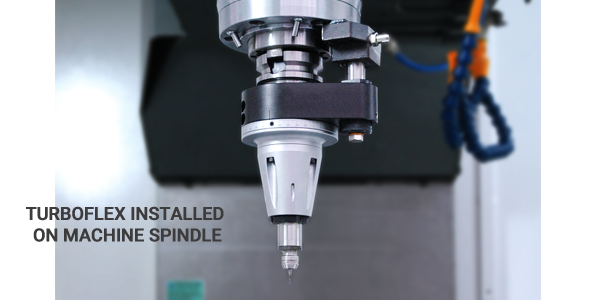 These high performance spindles can be easily installed on the machine through a special stop block and controller unit connect to the NC. 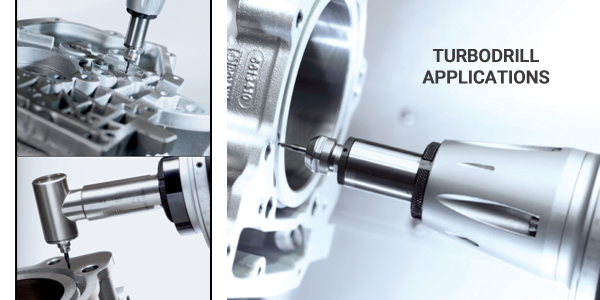 Turbodrill models are compact, ultra high speed air driven tools especially suited for compact vertical machining centers.